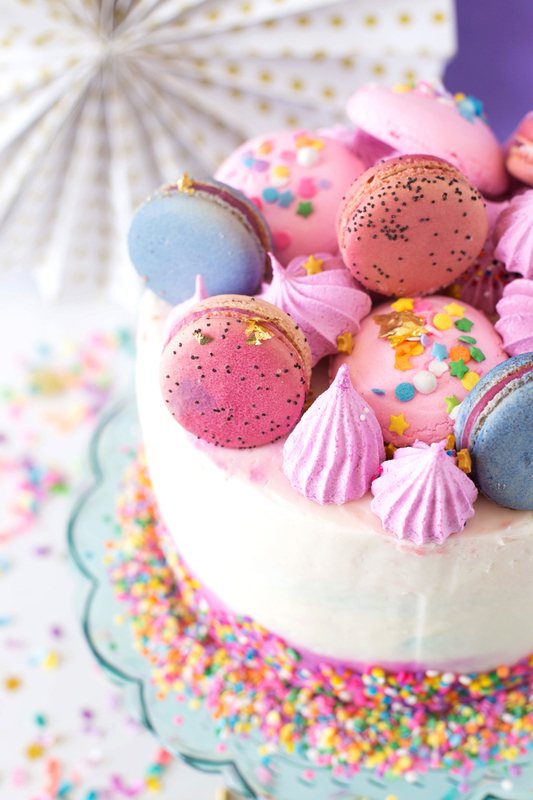 When I start dreaming about what the best birthday cake for girls could be, this version with sprinkles, layers and macaroons is exactly what comes to mind. 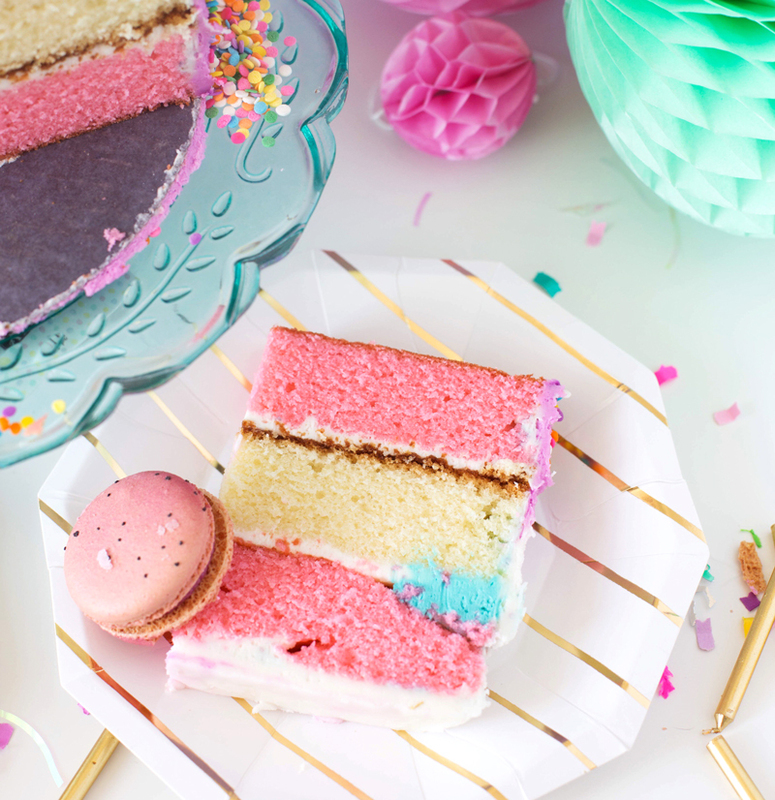 A sweet recipe your favorite girl will love to have as her birthday cake. Rainbows, glitter, and everything sweet. 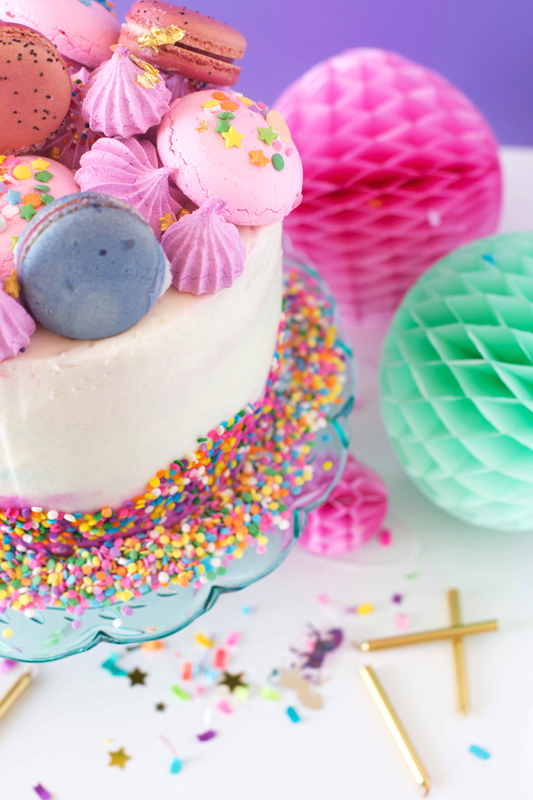 It’s time to celebrate whatever you want with a unicorn birthday cake for girls!!! 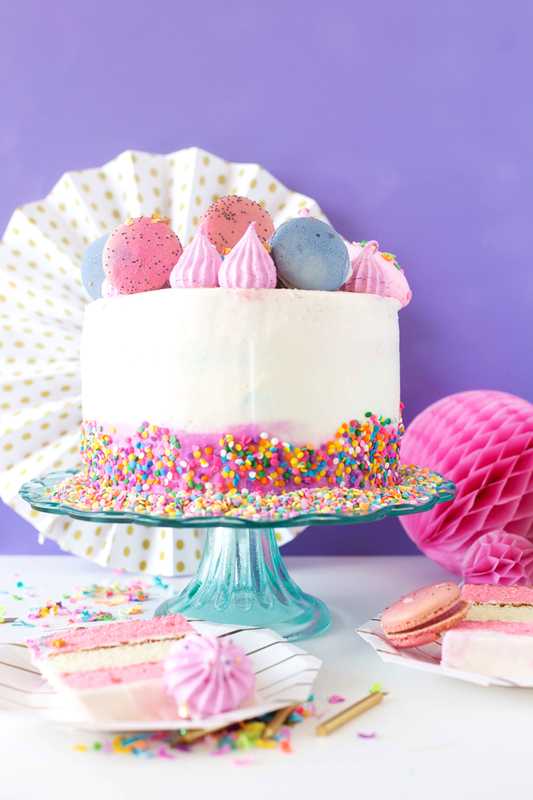 This cake will probably be filed under birthday cake, but you can totally make one of these epic cakes for any celebration. Make it for the end of summer, the beginning of school, a baby shower cake, graduation, or just for brunch because it’s a Monday celebration! Bake your cake layers according to the recipe directions. Cool and level your cakes. Spread an even layer of your bakery vanilla buttercream filling between layers and crumb coat your cake. Placing it in the fridge for 10 minutes to set. Add a layer of your colored buttercream to the bottom of your cake, finishing the rest of your cake with the white buttercream. 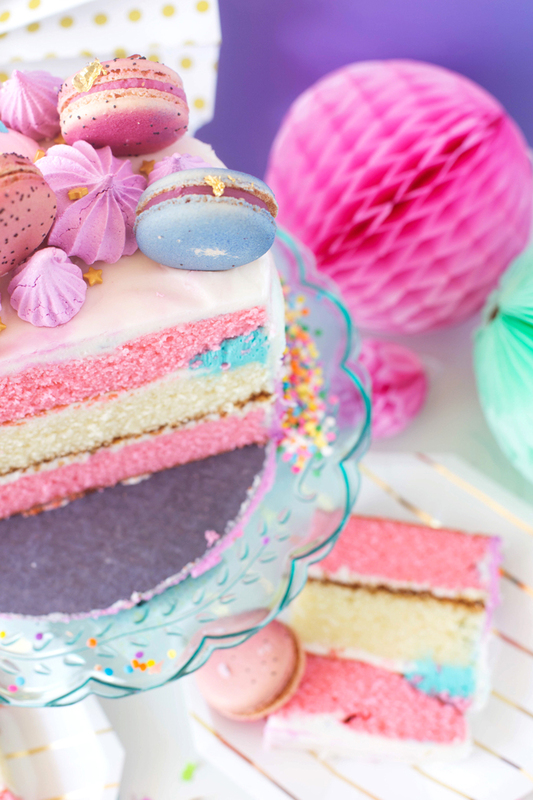 Make Some Magic with this fun loving cake! Grab your mini desserts and arrange them on the top of your cake. Finish with more sprinkles and edible glitter. I don’t think I love anything more than unicorns, cake and birthdays. 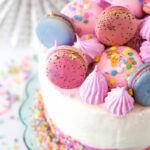 And there are endless possibilities to how magical you can make your cake. If you’re celebrating a birthday, don’t forget the candles and make an epic wish! PS. 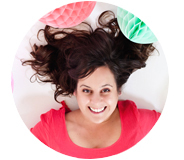 25 DIYS for girls.